Congratulations! By choosing to be a teacher, you have chosen a career that has meaning, makes a difference and shapes the future. If you’re not feeling smug right now, you should be. You’ve won the job lottery. But it’s also a difficult job. The marking, the planning, the hectic pace. And then, of course, there’s student behaviour. Or misbehaviour, to be more exact. It can seem daunting, difficult to deal with, difficult to know how to deal with it. 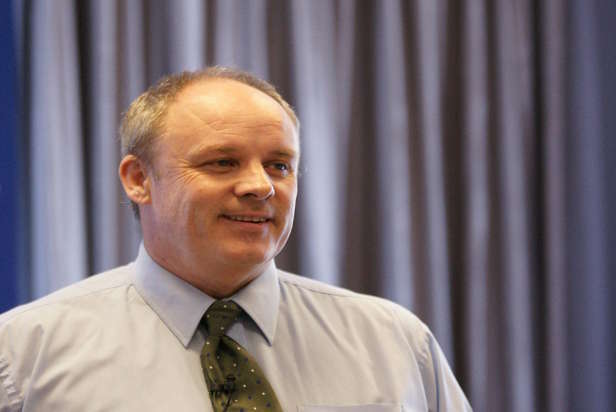 Yet, we know, there are teachers out there who are experts at managing student behaviour, to the point that misbehaviour is rare in their classes, or if it happens it’s dealt with quickly and smoothly. So how do you become an expert like them? Well, a sensible approach is to do what they do. 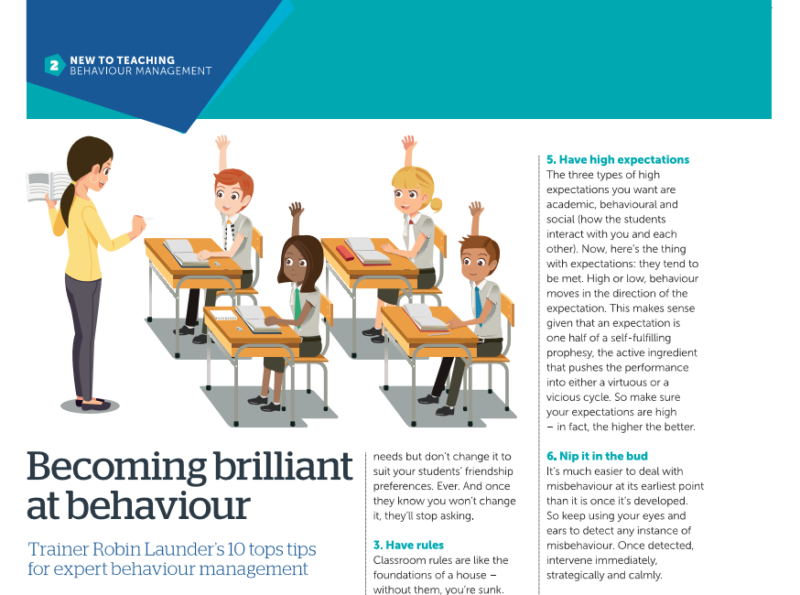 And what follows is a decalogue of those do’s – ten top tips to help to you become brilliant at behaviour management. Students want you to be in charge. Really, they do. Sure, they may test your authority, but actually it’s a test they want you to pass. Why? Because they want to be free: free from the pressure to misbehave and free from the pressure to react to others’ misbehaviour. Which then means they’re free to learn. So be in charge. Project confidence in how you hold yourself, in what you say and how you say it. Speak with the expectation that you will be listened to – and be amazed if you’re not. Oh, and let that amazement show on your face. If you don’t know the class, arrange by surname or use the boy / girl option. Of course, these systems don’t totally guarantee that mortal enemies (or worse, friends) are seated apart, but it’s a good start. When you get to know the students, change the plan to suit your needs but don’t change it to suit your students’ friendship preferences. Ever. And once they know you won’t change it, they’ll stop asking. A classroom routine is a behaviour that the students carry out habitually, efficiently and on cue. Sounds wonderful, doesn’t it. And so it should because routines maximise learning time, avert misbehaviour and create a learning community. Oh, and they reduce teacher stress too. So teach the students those routines, and insist and persist until those routines are, well, routine. The three types of high expectations you want are academic, behavioural and social (how the students interact with you and each other). Now, here’s the thing with expectations: they tend to be met. High or low, behaviour moves in the direction of the expectation. This makes sense given that an expectation is one half of a self-fulfilling prophesy, the active ingredient that pushes the performance into either a virtuous or a vicious cycle. So make sure your expectations are high – in fact, the higher the better. You might feel hurt by that boy’s personal comment, irritated by those giggly girls’ whispers, wound up by the continual chatting, but losing your temper, whether you think it is justified or not (and by the way, it’s not) won’t help. Yes, letting off steam might feel good in the moment, but it has no long-term benefits. It breeds hostility, ruins relationships and diminishes your influence. Oh, yea, and it’s wrong. Each of the previous nine tips is an extension of the first one: being in charge. Now, being in charge is extremely important, it is, but it’s just as important to show that you care about your students. So make sure you do. Be warm, respectful and kind. Take an interest in your students as individuals with lives outside of the classroom. Be proportionate with consequences and make sure you start every day with a clean slate. Smiling helps too, as does a little fun. By combining this last tip with the previous nine, you will be doing exactly what the experts do – and if you doing that then maybe an expert is what you will become. And maybe sooner than you realise. Ten wise tips that our FdA Children’s and Young People’s Services students will appreciate for their Understanding Behaviour module here at Vision University Centre, Mansfield. Thank you Robin.